In 476, the barbarian warlord Odoacer foundered the Kingdom of Italy as the first King of Italy, initiating a new era over Roman lands. Unlike most of the last emperors, he acted decisively. At the beginning of his reign he “slew Count Bracila at Ravenna that he might inspire a fear of himself among the Romans.” He took many military actions to strengthen his control over Italy and its neighboring areas. He achieved a solid diplomatic coup by inducing the Vandal king Gaiseric to cede to him Sicily. Noting that “Odovacar seized power in August of 476, Gaiseric died in January 477, and the sea usually became closed to navigation around the beginning of November”, F.M. Clover dates this cession to September or October 476. 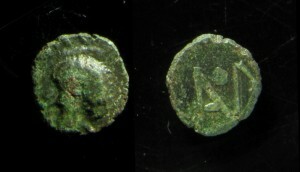 When Julius Nepos was murdered by two of his retainers in his country house near Salona (May 480), Odoacer assumed the duty of pursuing and executing the assassins, and at the same time established his own rule in Dalmatia. 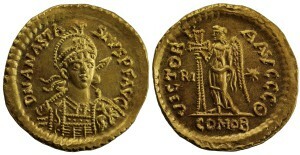 As Odoacer’s position improved, Zeno, the Eastern Emperor, increasingly saw him as a rival. According to John of Antioch, Odoacer exchanged messages with Illus, who had been in revolt against Zeno since 484. Thus Zeno sought to destroy Odoacer and promised Theoderic the Great and his Ostrogoths the Italian peninsula if they were to defeat and remove Odoacer. 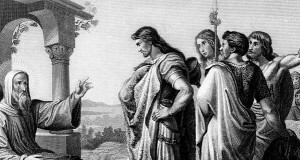 Theoderic had his own reasons to agree to this offer, as he had enough experience to know (or at least suspect) that Zeno would not, in the long term, tolerate his independent power. When Theoderic rebelled in 485, he had in mind Zeno’s treatment of Armatus. Armatus defected from Basilicus to Zeno in 476, and was made senior imperial general for life. Within a year, Zeno had him assassinated. In 489, Theoderic led the Ostrogoths across the Julian Alps and into Italy. On 28 August, Odoacer met him at the Isonzo, only to be defeated. He withdrew to Verona, reaching its outskirts on 27 September, where he immediately set up a fortified camp. Theoderic followed him and three days later defeated him again. 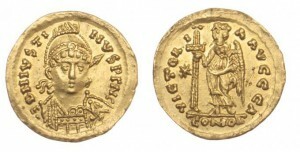 While Odoacer took refuge in Ravenna, Theoderic continued across Italy to Mediolanum, where the majority of Odoacer’s army, including his chief general Tufa, surrendered to the Ostrogothic king. Theoderic had no reason to doubt Tufa’s loyalty and dispatched his new general to Ravenna with a band of elite soldiers, “but Tufa changed sides, the Gothic elite force entrusted to his command was destroyed, and Theoderic suffered his first serious defeat on Italian soil.” Theoderic recoiled by seeking safety in Ticinum. Odoacer emerged from Ravenna and started to besiege his rival. While both were fully engaged, the Burgundians seized the opportunity to plunder and devastated Liguria. Many Romans were taken into captivity, and did not regain their freedom until Theoderic ransomed them three years later.